Home / Kiosk / How to Set-up Kiosk for volunteers? 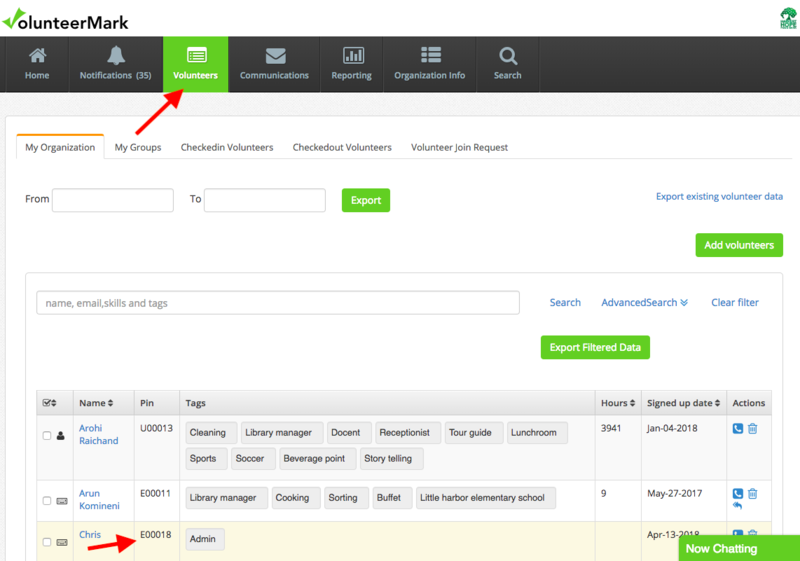 In order to get the volunteer pin numbers, please go to volunteers tab and scroll down to see the volunteer profiles. Find the pin numbers beside each volunteer name.